I’ve been to a race before. It was a NASCAR event at the Charlotte Motor Speedway, many, many years ago. I have to be honest, it really wasn’t my thing. And no, I’m not the guy who doesn’t believe it’s a sport. I just couldn’t get into it! 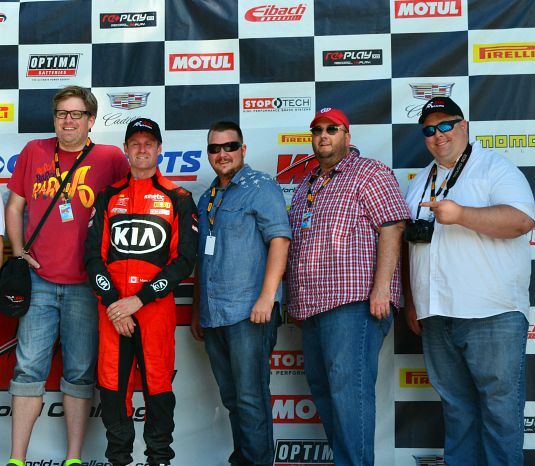 A couple of weeks ago I was invited by Kia to hang out with the Kia Racing Team at the Pirelli World Challenge event at Road America in Plymouth, WI. We were able to get up close and personal with the whole process that goes into “race day”. 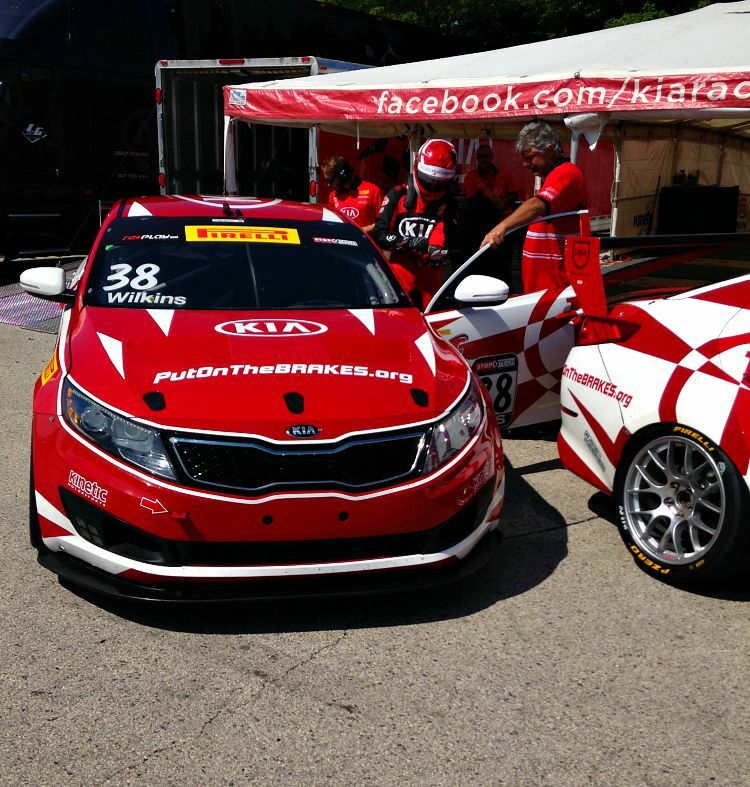 First, we were introduced to the Kia Optima’s that are driven in the races. They are pretty amazing vehicles, both inside and out. Then we were taken to the pit area, where we got a chance to see qualifying runs by drivers Ben Clucas and Mark Wilkins. It was loud, REAL LOUD!!! I won’t lie, I got a bit of an adrenaline rush being that close to the action. The strategy for the upcoming races, begin during these runs. 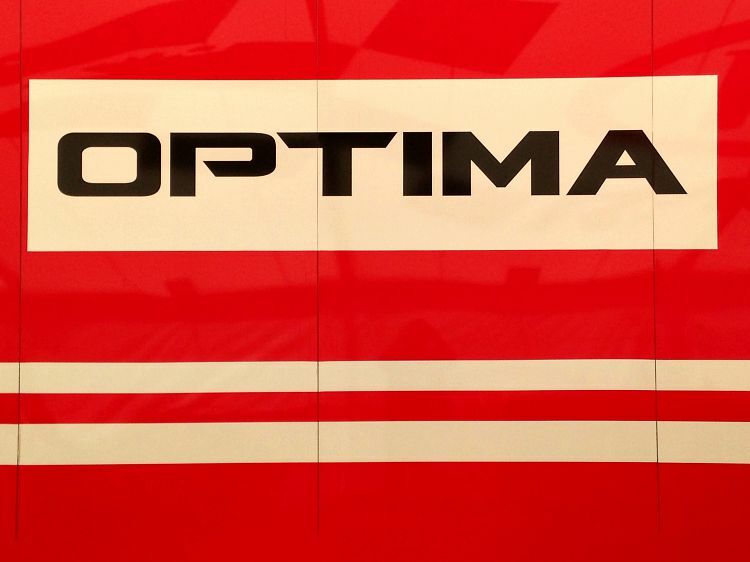 Once it was explained to me, I started to get excited about watching our drivers in the race and cheering on the Optima. We went back to the Kia tent and had lunch with the drivers. Both of the guys are great and have a real comradery with each other. They act like teammates in every sense of the word. Another thing I noticed was they signed every hat, program or whatever else was put in front them. They never turned away one fan! It was nice to see how much they value the people who come out to root them on. The thing that makes this style of racing a little different is the track. It’s not a bunch of guys driving around an oval for a couple of hours… It’s much more. There are different elevations, styles of turns and straightaways. It’s very technical and the drivers really have to drive with a lot of skill and precision. Road America alone is 4 miles long and has 14 turns! It’s a great venue for a newbie to the sport like myself. You have a myriad of vantage points to choose from, so that you can see all the action. It really gets you involved in the race. I was having a blast watching the flashes of red and white zip around the track. 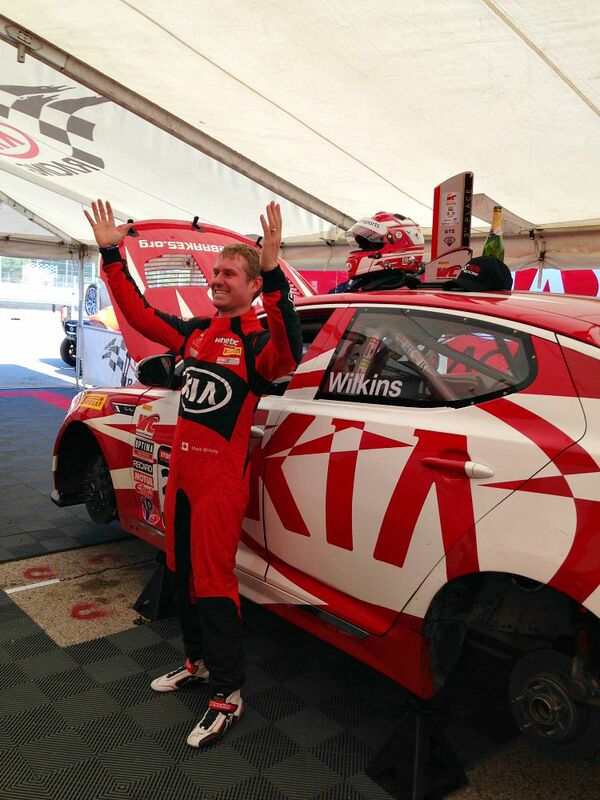 At the end of the day, Mark Wilkins came in third and got to put in a much deserved appearance in the winners circle! The #MenWhoBlogWI Team was there as well! (From L to R) Jeff from OWTK, Kia driver Mark Wilkins, Yours truly (Yes, I am what you call, man pretty! ), Phil from Gunaxin and James from ManTripping. I’m a racing fan now and it’s an experience that I will look back on with a lot of fond memories. It’s great to find new things to be passionate about. It makes me feel like no matter what age, discovery is still around every corner!!! 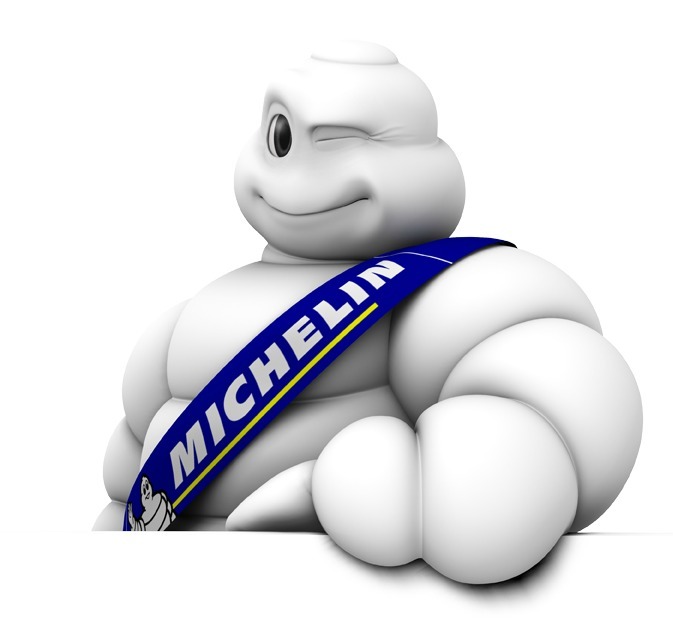 I have partnered with Life of Dad and Michelin for this promotion. I have received compensation for my participation, but my first car memories are my own. Mustangs, in my family, were a big deal. My grandfather had them the whole time I was growing up. When I was kid, one birthday, he gave me an Owner’s Manual for a 1966 Mustang. You’re getting the picture! So, when I was of driving age I decided I was going to save up and buy my own Mustang. I heard the business from many friends and many girls, about the fact that I didn’t have a car. I think most of them were just mad that I had bummed rides from them for a couple of years. I saved and saved and saved… and then I saved some more. Finally, I had enough money to buy my dream car! A white 1992 Mustang with grey interior and all the bells and whistles that the year 1992 could grant you. I LOVED that car! It was a point of pride with me. Not only was it beautiful, but I had worked hard and achieved a major goal in my life. It was my first car moment! As you can imagine, I went through a lot of sets of tires on that car. Tires are still important to me. Ultimately, it doesn’t matter what kind of car you drive. Whether it is brand new or a 1992 Mustang. What matters most is that your tires are safe. Summer is a critical time to remember the importance of tire safety. The period between Memorial Day and Labor Day is often referred to as the 100 deadliest days for teen drivers, based on accident data from the National Highway Traffic Safety Administration and National Safety Council. The cold, hard reality is that automobile accidents are the number one killer of teens in America. They account for a shocking five thousand deaths annually. In addition, they have found out that 12% of the 2.2 million accidents that occur each year with inexperienced drivers are due to tire-related issues (26% are attributed to low tread depth; 32% are attributed to improper tire pressure). Driving on underinflated tires or tires with low tread can lead to accidents on the road. The good news is that accidents due to improper tire maintenance are preventable, and simple steps can save lives. Checking your tire pressure with a pressure gauge monthly and learning and teaching the proper way to check tread depth are two easy tasks that can help you correctly maintain your tires, the tires of your loved ones and contribute to overall vehicle safety. As a tire manufacturer focused on road safety for over 125 years, Michelin feels they have an obligation to raise awareness about this issue, and that we all can play a role in reducing the roughly 264,000 crashes with inexperienced drivers that occur annually due to tire-related issues. Educate yourself and the people that you love about tire safety and we’ll all have a fun and safe summer! 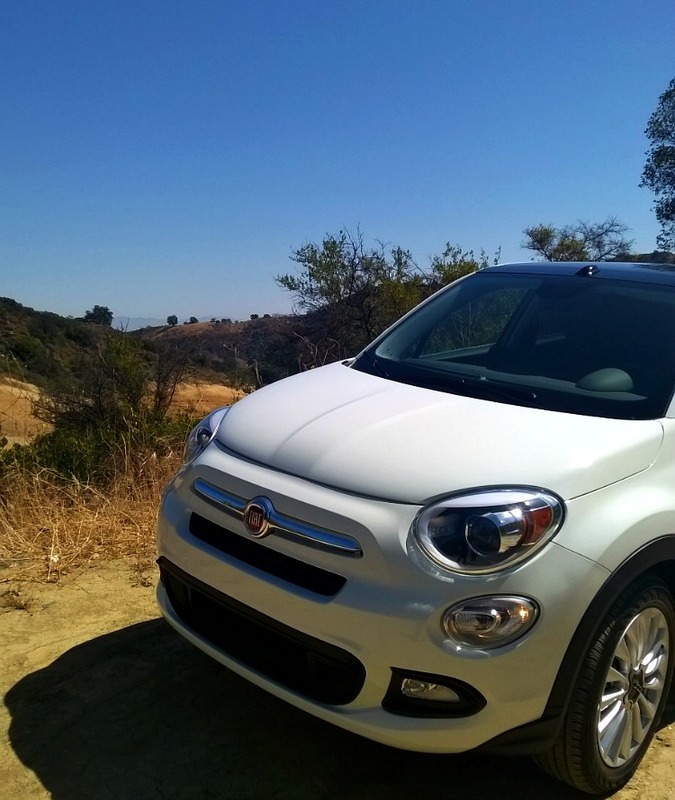 A few weeks ago, I had the absolute privilege to drive the 2016 Fiat 500X through the amazing scenery of Southern California. My first post was about the experience of driving this great car. But, I also wanted to talk about the design and specs of this amazing vehicle. The 500X is quite roomy and can easily accommodate up to five passengers. Cargo capacity is 18.5 cubic feet with five occupants on board. The Uconnect infotainment system is available, integrating audio, navigation and climate control functions into one unit. A standard 5.0-inch or optional 6.5-inch touchscreen mounted on the dashboard is the central component of the system. The FIAT 500X offers available Full-Speed Forward Collision Warning with Active Braking and available LaneSense® Lane Departure Warning with Lane Keep Assist. The 500X is available with a pair of four-cylinder engines. The entry-level engine is a turbocharged 1.4-liter MultiAir four-cylinder unit and a 2.4-liter Tigershark four-cylinder engine is also available. Front-wheel drive comes standard, and all-wheel drive is found on the list of options. Available All-Wheel Drive gives you greater control in inclement weather. Plus, you will enjoy greater efficiency with the rear-axle disconnect. 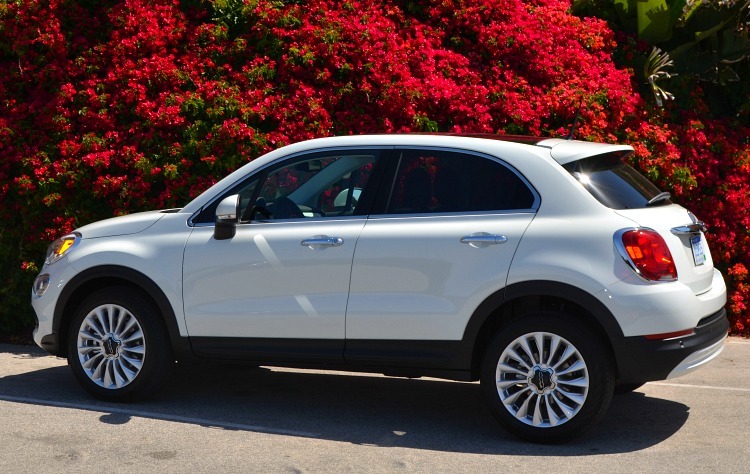 The FIAT 500X is the first FIAT vehicle with available All-Wheel Drive in the USA. The available Dynamic Selector traction control system is a three-way drive mode selector that helps you achieve the perfect performance in any situation. For everyday driving, choose Auto mode. For more spirited driving, select Sport mode. Choose Traction + mode to maximize low-speed traction on low friction and off-road surfaces. 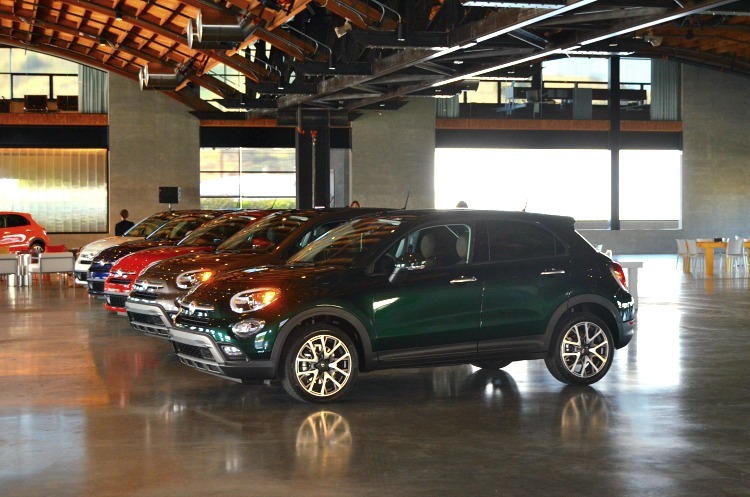 The FIAT 500X is available in 5 different models. Pop, Easy, Trekking, Lounge and Trekking Plus. I was a big fan of the Easy model because it adds front and rear floor mats, deep-tint windows, a height-adjustable cargo floor, a vinyl-wrapped arm rest, sun visors with vanity mirrors, a 5.0-inch touch screen that runs Fiat’s Uconnect infotainment system, a six-speaker stereo, a USB port, leather upholstery on the shift knob and the steering wheel, 17-inch alloy wheels, keyless entry and Bluetooth connectivity. The 500X Easy is also being powered by the bigger 2.4-liter Tigershark engine. With the key fob in the vehicle’s proximity, available Keyless Enter ‘n Go™ automatically unlocks the driver or front passenger door when you pull the handle, or unlocks the liftgate when you press the access button. 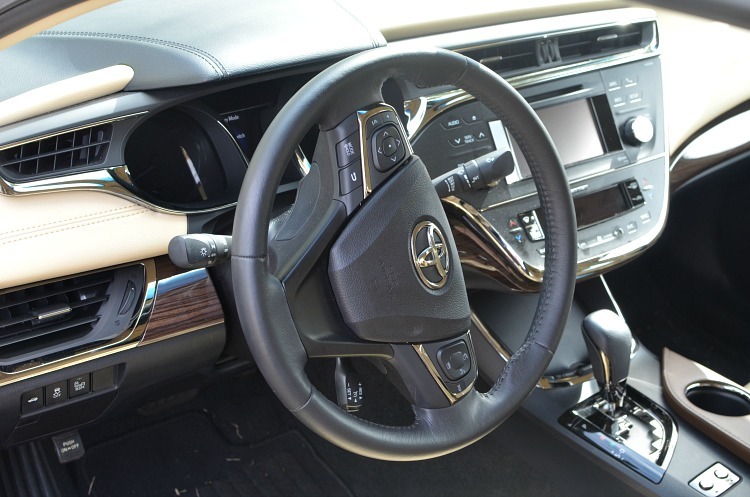 Once the key fob is inside the vehicle, simply depress the brake pedal and press the Start/Stop button located on the steering column to start the engine. The 500X comes standard with front, knee, side and curtain airbags plus electronic traction control, electronic brake-force distribution, brake assist, electronic stability control and hill start assist. 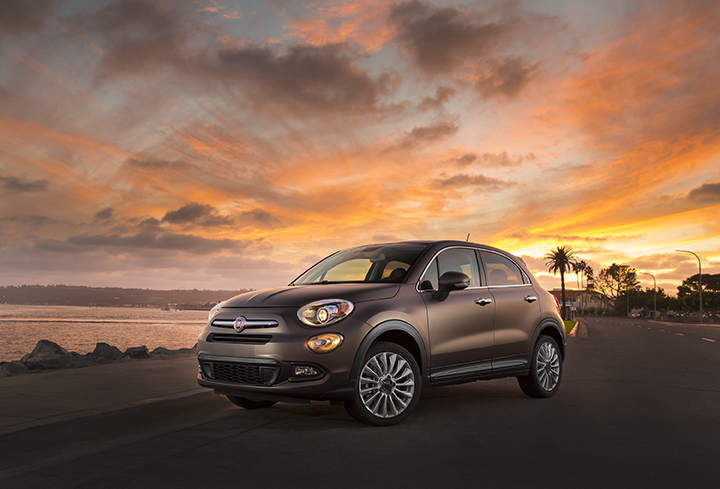 The all-new 2016 Fiat 500X is an amazing addition to the FIAT lineup in North America. 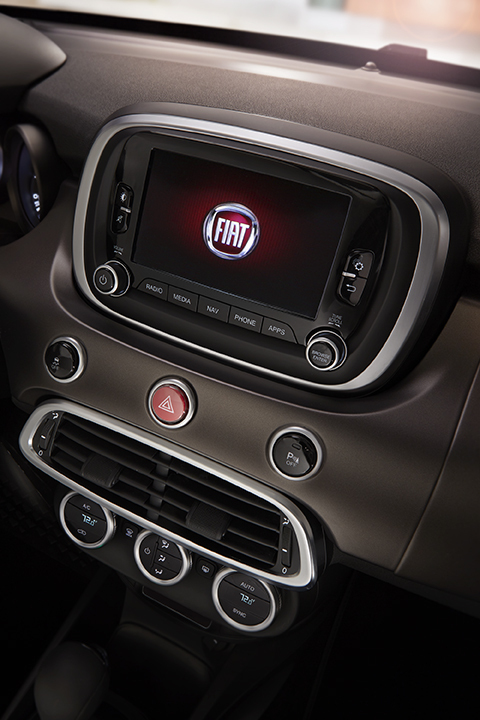 It combines authentic Italian design and engaging driving dynamics that is synonymous with the FIAT brand. Which 500X Do You Want To Drive? Thank you to FCA for hosting me. All opinions are my own. This past weekend I had the EXTREME pleasure of being invited to drive some cars in Southern California. 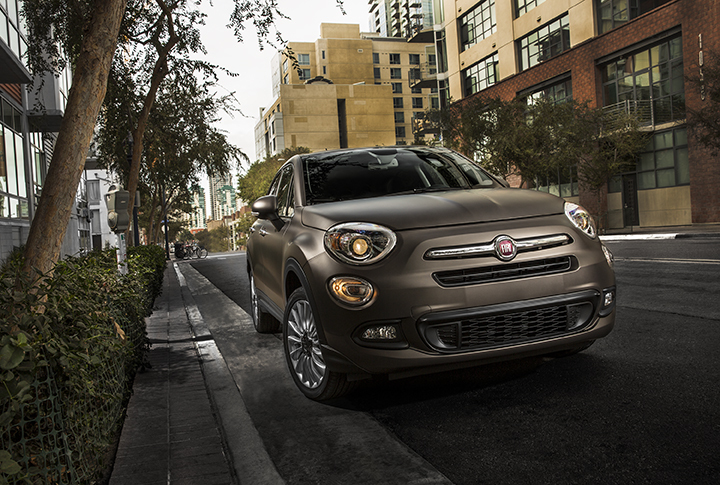 Not just any car, but the 2016 Fiat 500X. I will be honest with you readers… I have never driven a Fiat in my life! My father owned one during the Swinging Sixties, but short of that, I know they are from Italy and they have really great commercials. So when I got the chance to go drive one for myself, and by the way, my scenery was going to be a mixture of the coast, canyons and hills of SoCal… I might have sprained my ankle running to get on the plane. 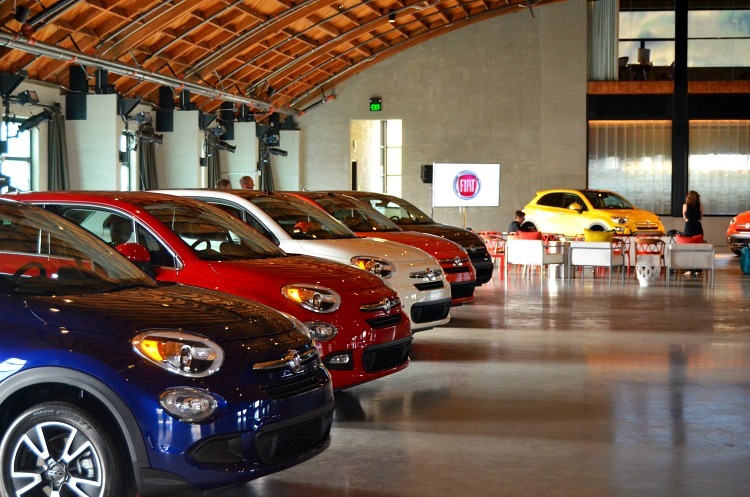 I arrived at the 3Labs Warehouse in Culver City, California and was met with an array of 2016 Fiat 500X’s in every kind of shape and color you could possibly want. They are actually available in five trim models and 12 exterior colors. FIAT and their vehicles are known for all of the great personalization options that they offer the consumer. 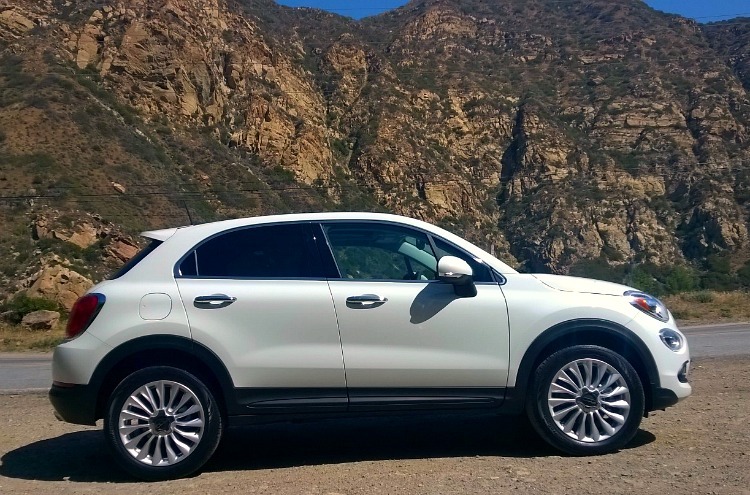 We learned some great history and information, not only about FIAT, but also the 500X. Knowing about the thought and time the engineers put into this car got me excited about driving the 500X. I was ready to get behind the wheel and take it for a spin! One of the amazing things about hitting the road in SoCal, are the different types of scenery and terrain you will come across. The drivers partnered up and we were given a “course” to drive that showed off not only the beautiful area we were in, but also the well thought out design and handling of the Fiat 500X. We headed toward the PCH (Pacific Coast Highway), jumped on it and then made our way toward the beautiful Santa Monica Mountains. The famous L.A. traffic did not disappoint, but my partner and I were quite comfortable in the 500X. We put on some 80’s tunes and enjoyed the ride. Once we hit Mullholland Highway, the scenery nearly jumped into my lap. Our FIAT had a sunroof and we were enjoying every inch of our drive. The tight and winding roads, at first, were a little intimidating. 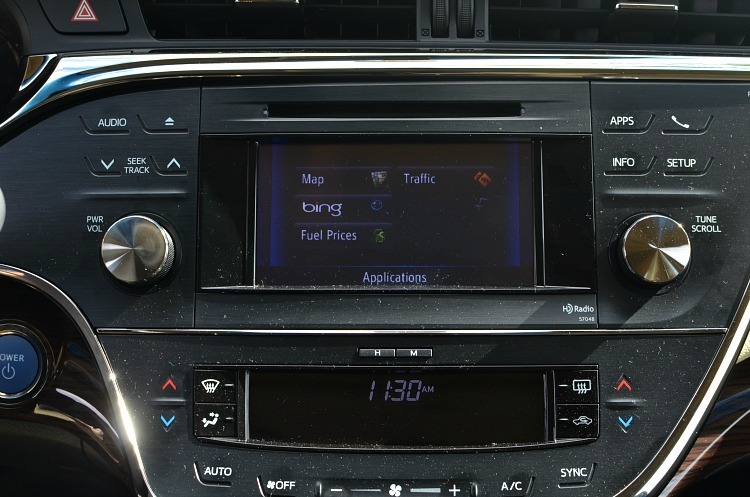 But, there’s a useful dial on the console that gives the driver three choices… Auto, Sport, and Traction+ modes. I put on the Sport mode and all of a sudden I understood what it must feel like driving a FIAT in Italy. The Sport mode changed my steering effort and throttle response. But, the suspension wasn’t affected, so your ride quality stays exactly the same. Before I knew it, I was taking those turns like a pro! We also made a stop in Malibu and that was a highlight for me. Driving that beach in the Fiat 500X, with the sunroof down, was one of my favorite driving experiences… EVER!!! The Fiat 500X looked/drove great in the city and the mountains. But for my money, drive one down to the beach and you will want to buy one on the spot. 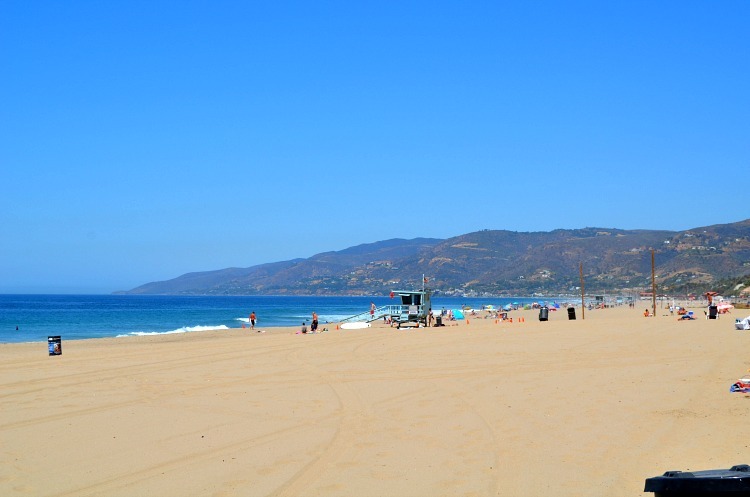 We reluctantly left the beach and headed back down the mountains toward Culver City. The day really couldn’t have been better and I couldn’t have thought of a vehicle I would have rather been in. I’ve taken many a road trip in my life and the 50+ miles I drove in the Fiat 500X, were some of the best I’ve ever experienced. Where Would You Drive A Fiat 500X? Special Thanks to FCA for hosting me. All opinions are my own. 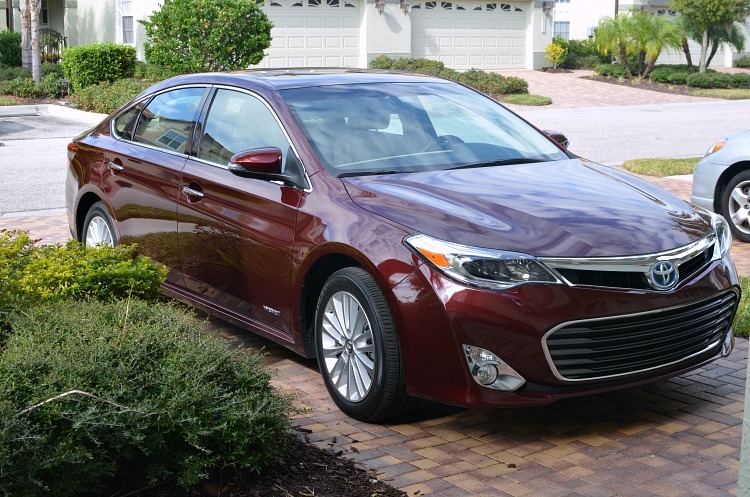 My family and I recently had the chance to test drive the 2015 Toyota Avalon XLE Touring Hybrid. As a dad, I can be a little opinionated about my vehicles. I traded in trying to look cool (In college I drove a SWEET sports car) for safety and good gas mileage. I’ve never owned, or for that matter, driven a Toyota of any type. The Avalon drove like a dream and had all the things that I want and need in a vehicle. The Avalon met every one of my needs for a reliable family vehicle, but it also had some “cool” features that didn’t make me feel like I was driving a boring car. 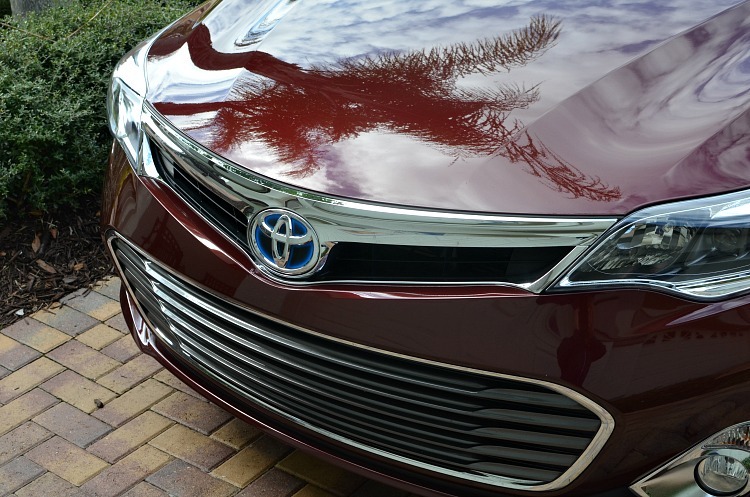 Amazing Gas Mileage – The Avalon I was lucky enough to drive was a hybrid. It’s combined city/hwy is 40mpg. I had never driven a hybrid, but once I started crunching numbers, it seems like you could save upwards of $5,000 a year on gas. That fact alone blew me away! Comfortable Interior – It’s nice to feel comfortable when you are driving the family around. The Avalon I drove had leather interior, which is optional, and a lot of leg room. When you’re dealing with family trips, a little extra room goes a long way! My wife and daughter were able to stretch out and enjoy every inch of the car. It’s rear seats have center armrest cup holders and a trunk pass-through. 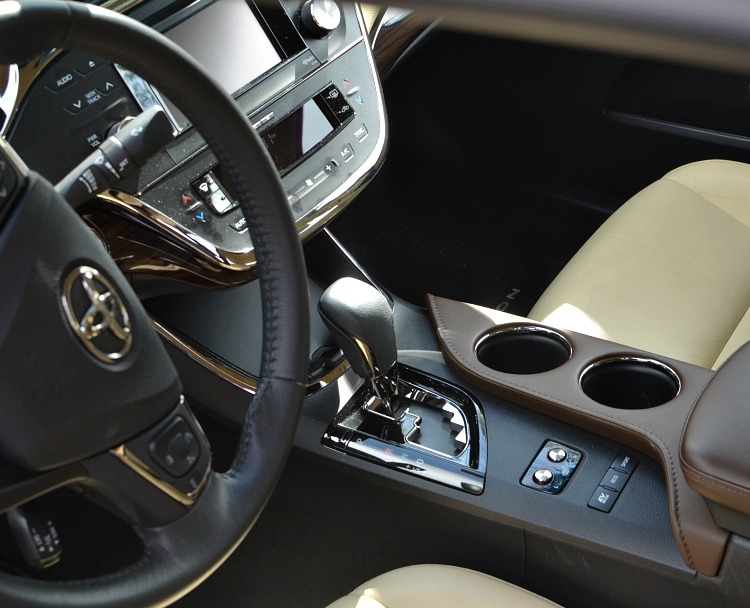 Then throw in a covered center console with sliding cover and armrest, storage compartment and two front cupholders. It’s also got seat warmers that are nothing short of necessary for the winter season. 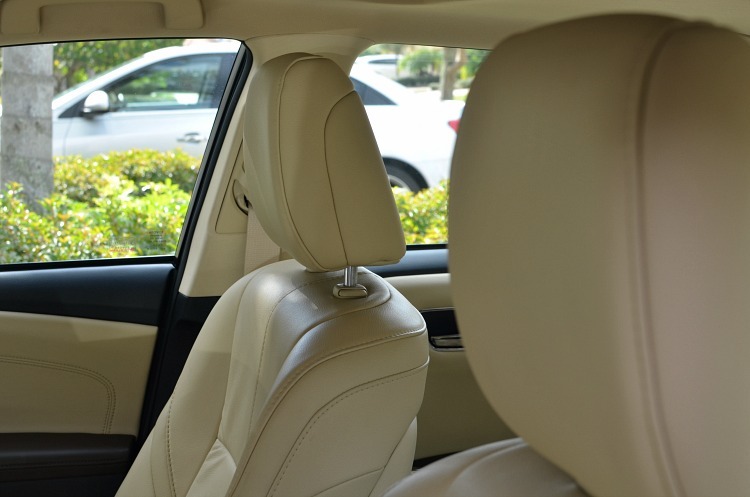 The Avalon will give you, just the hint of luxury you need from a family car! Bells And Whistles – As a dad, I love gadgets. I especially want a vehicle that has all the latest technology available as well. 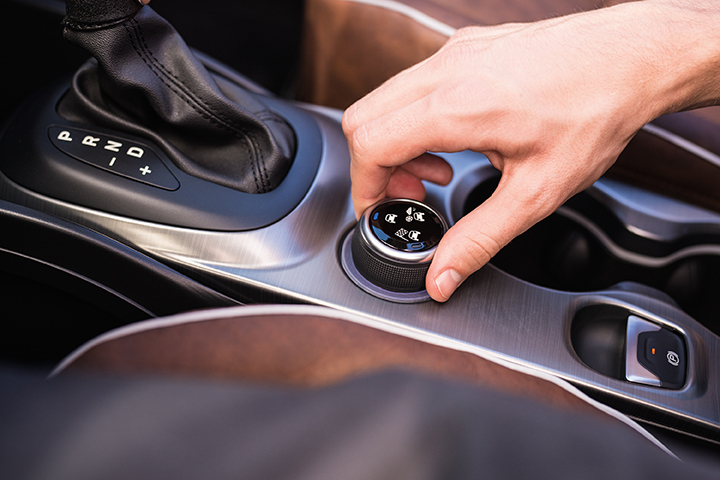 How’s this for bells and whistles: Intelligent Touch controls for climate control and audio system. Entune™ Audio Plus — includes the Entune™ Multimedia Bundle. 6.1-in. high-resolution touch-screen display, AM/FM CD player, MP3/WMA playback capability, eight speakers, auxiliary audio jack, USB 2.0 port with iPod connectivity, control and advanced voice recognition. Hands-free phone capability, phone book access and music streaming via Bluetooth® wireless technology. SiriusXM All Access Radio with 3-month complimentary trial, HD Radio and HD traffic and weather. Entune App Suite — includes Bing, Facebook Places, iHeartRadio, MovieTickets.com, OpenTable, Pandora, and Yelp. That’s what I’m talking about!!! 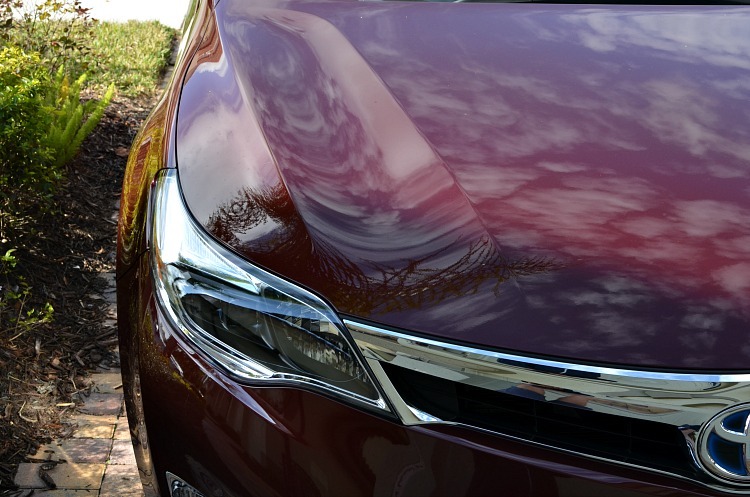 The best way to describe the Avalon would be… “A family car, with a luxury feel”. It has all the features the dad in me looks for in a family car, 5-Star Government Safety Rating included. But, also the great features the guy in me loves. For more info check out Toyota.com. What Do You Look For In A Family Car?! Thank You to Toyota and Prestige for supplying me with the Avalon to test drive. All opinions are my own. I live in Southwest Florida with my beautiful blogger wife and our teen daughter. I love movies, music, comic books, food, travel and tasty beverages. I used to be a professional musician and traded it in for a great family and a chance to live "The Cool Dad Lifestyle"